Join us for a fantastic fishing trip to the Central Valley of California visiting some of our great lakes or on the Sacramento, Trinity or the Yuba Rivers. We do anywhere from 1/2 day trips to full day trips for up to two fishermen and women. 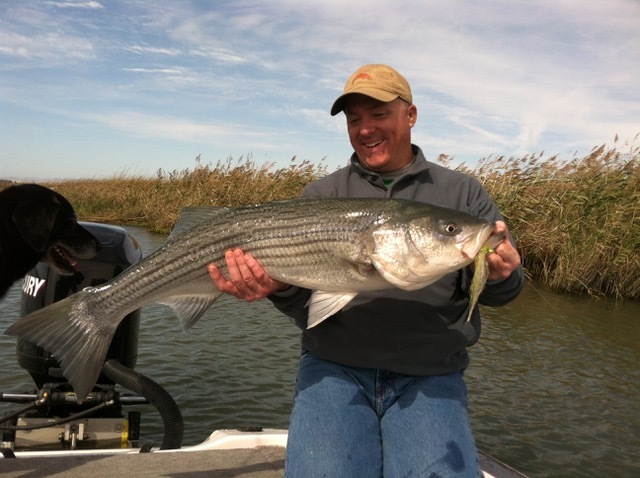 Whether you are after Shad, Trout, Steelhead, Salmon, Stripers or Black Bass we can accommodate whatever the species you are after. Our fishing guides, Tim and Kyle Fox and Gary Harris have years of experience putting smiles on friends and clients faces. They have grown up fishing and have a vast array of experience for all of the species listed. Whether it’s bait, spinners, throwing plastics or fly fishing we can help put you on fish after fish! Give us a call to customize a trip, just for you and your family or friends! If you are looking for more than one day, we have a lodge we can use, that is close by at Dye Creek Preserve. Come and join the boys for a fantastic fishing experience!